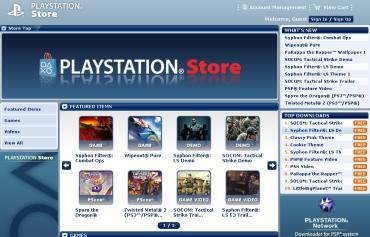 The PlayStation Network Store is now accessible from a PC, ealier than e­xpected. The PC version of the PSN Store allows you to download full games, demos, PlayStation One titles, videos, trailers and more to your PSP. There are already several full games available to download as well as a number of demos, wallpapers, themes and videos. So this was the purpose of Sony’s own ISO loader. I see that games originally on UMD are on sale from the store. and where is our free game sony??? ?